Thank you for looking at another fiveninedesign creation. This time, no barriers were put up, and no limits were placed. It was time to build an ultimate Supercar, and we think this one came out phenomenal. This 2013 Lamborghini Gallardo LP560-4 Final Edition is one of the few that came to the United States with the updated, and Final, bumpers. It was Lamborghini’s farewell to the Gallardo line, as it is time to bring out the Huracan. Thus, this car is already a piece of Lamborghini history. We took that car, had Heffner Performance put a TWIN TURBO system on the car, and refinished it in a sinister look to match it’s 900 horsepower performance! Finished in Nero Noctis, gloss black, with Black interior (Red Deviated Stitching), the car is absolutely menacing. The Q-Citura Stitching on the interior really gives some depth, and adds a unique character to the already sinister cockpit. To take it a step further, the Gauge surrounds and center consoles are finished in high Gloss Piano Black. Even the all leather headliner of the car is finished in the gorgeous cross stitch. The car was built to be driven, and it was owned by someone who used it for what it was intended for. It was never tracked, or raced. It was taken on cross country road trips, and was driven daily by an avid enthusiast and auto collector. 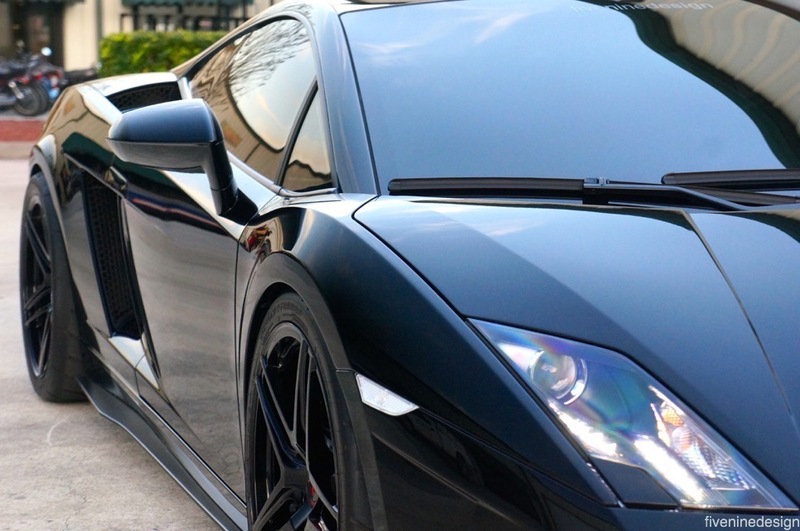 Obviously, you have to be a serious enthusiast to daily drive a Twin Turbo Gallardo. 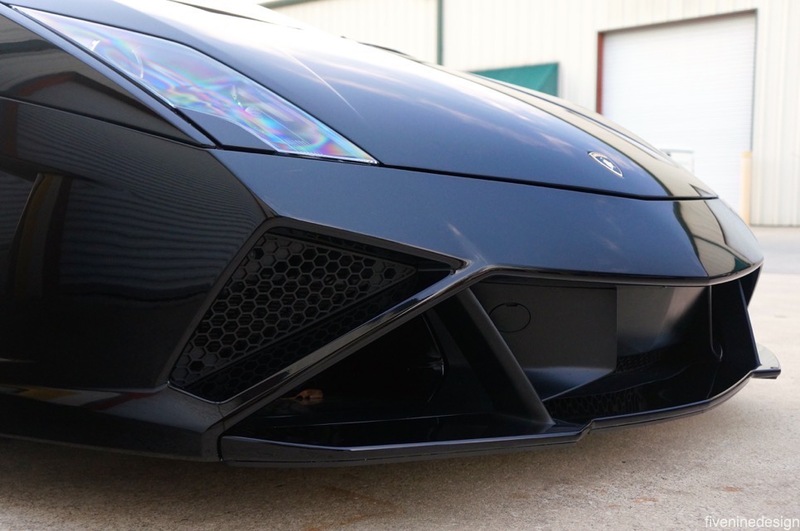 Mechanically, this LP560-4 Gallardo is in perfect working order. 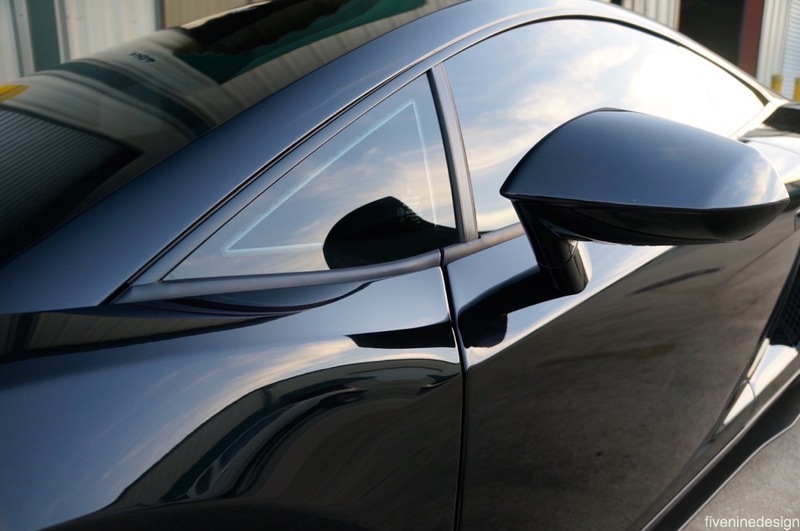 The car has no flaws, and has been maintained by Authorized dealers it’s entire life. It has had all updates and recalls done, and needs ABSOLUTELY nothing. At around 8000 miles, the car was sent to Heffner Performance in Sarasota, FL, for one of his award winning Twin Turbo Set ups. Known as being one of, if not the most, OEM integrated twin turbo system, this car was built with, again, one thing in mind. Drivability. Heffner worked their magic in creating a gorgeous, OEM looking Twin Turbo set up for the car. The system utilizes the stock computer system, and the car runs flawlessly on the system. The drivability is like stock, with what feels like double the power. The sounds that come from the car now are unlike anything that you have experienced, that is for sure. Heffner stands behind their work, and will do so for the new owner as well. The kit is that good. When you pop the bonnet, it is hard to even notice the fact that the car is twin turbo (in pictures I removed the screen for more detailed photos) The system is stealth, sleek, and the option for growth with it is exponential, although the car is set up absolutely perfect now. The clutch snap was done at the last service (1 month ago), and was still at above 84%. It is unbelievable how much all systems in this car work harmoniously. The car was professionally lowered and put on 19” Velos Designwerks S1 Forged Wheels. 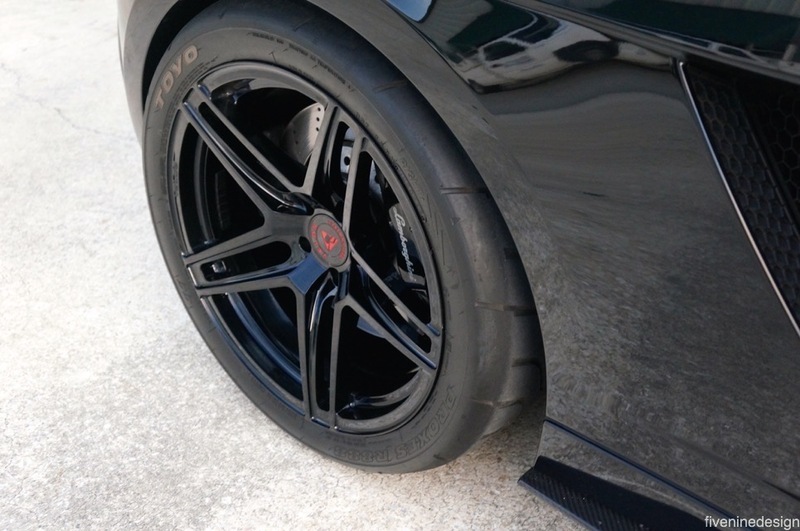 These wheels were powder coated in high gloss black. They are wrapped in Toyo Proxes R888 R Compound tires, which make the car stick to the ground and take off like a fighter jet. The fitment of the wheels is a one off custom order, as you can see they are extremely aggressive. Currently resides in Chicago, IL.